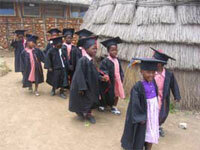 Preschool Graduation is a big deal in Swaziland, a country where many children never get the opportunity to graduate from high school or university. 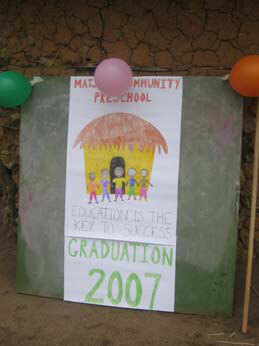 Matjana Preschool’s first graduation ceremony was no exception to this fine tradition! 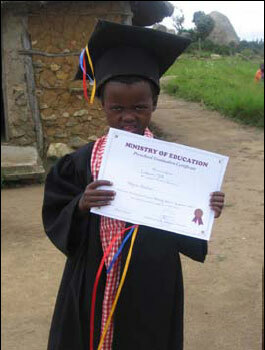 There was lots of singing, dancing, performing, eating and, it wouldn’t be a graduation ceremony without…miniature graduation gowns. 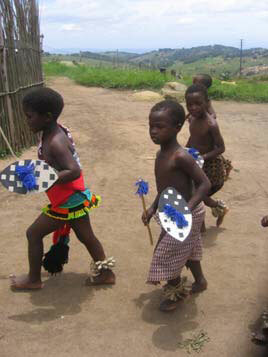 Teachers and children spent weeks preparing plays and practicing dances to perform for parents on the day. The kids did a great job learning their lines and dance moves, but despite a whole year of preschool, they couldn’t quite get their heads around the concept of sitting still and shutting up when they weren’t performing! Parents and children arrived early on the day to prepare a feast- by 6am the fire was raging, rice was boiling and chicken feathers flying. By noon a feast fit for a king had been prepared. 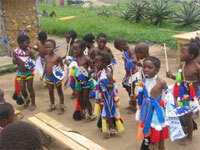 The kids made there grand entrance at ten and spent two and a half hours singing, performing short plays and dancing traditional Swazi style, before donning the gowns and collecting their graduation certificates. 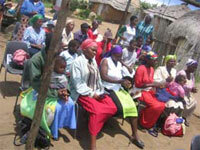 It was a great day for everyone involved. 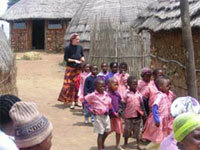 Sixteen children graduated and three will return next year. 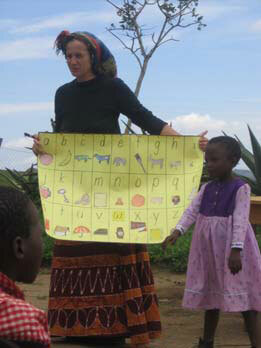 We look forward to seeing many more classes graduate from Matjana Preschool in the future!